distribution Throughout the mountains, and presumably throughout the Piedmont. Perhaps present in the western Sandhills, and an isolated record for the central Coastal Plain. The species is a somewhat Northern species, ranging south to central GA.
abundance Fairly common, to locally common, in the mountains. Seemingly rare in the western half of the Piedmont, and uncommon in the eastern half, though it can be locally numerous there. Very rare in the western Coastal Plain. flight A flight that ends rather early in the season, by mid-summer. The mountain flight occurs between mid-May and late July, with a photo record from fairly late August. The Piedmont flight is from early May to late June, but it should occur into August. The very few Coastal Plain records are in a narrow window from mid-April to mid-May, but records should occur into July or August. habitat Small streams, seeps, bogs, or marshes, with thick vegetation. behavior Perches on grasses and sedges, never on flat leaves. comments The absence of county records for much of the central and southwestern Piedmont is odd, considering that there are daily counts in Wake County, at the eastern edge of the Piedmont, of 20 and 50 individuals. It is not a species that is difficult to identify; thus, this odd abundance pattern might be real. 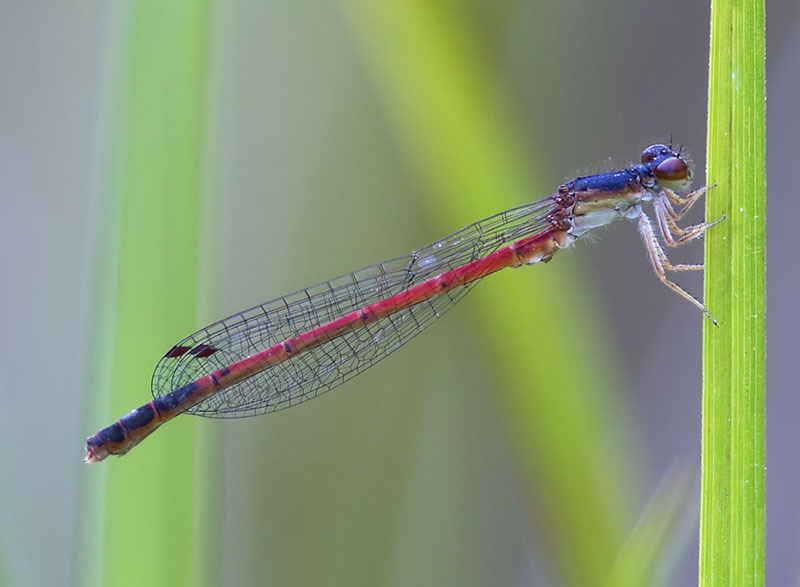 Comment: Henderson, 2015-05-28, Common in a floodplain bog.